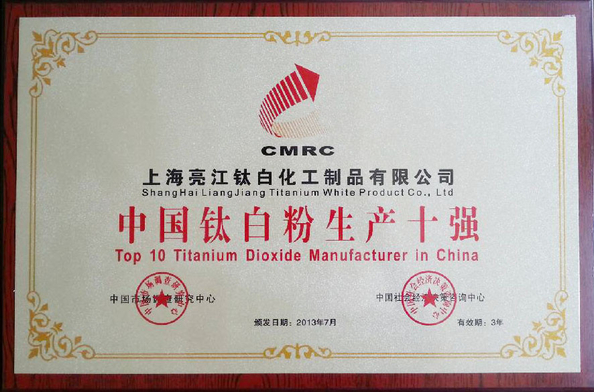 Liangjiang brand- Chemical Fiber Titanium Dioxide For Chinlon Chemical Fiber, German technological process is referred to in producing 0066 Polypropylene Fiber TiO2 and it is used as matting agent in polypropylene fiber manufacturing. Titanium dioxide fiber grade have the basic features of white pigment, the special request for particle size, particle distribution, whitness, impurity contents and so on. The cost of tio2 using in fiber is about 1%, the using of tio2 fiber grade is not like of the coatings. Using in coatings, if not good whiteness, matching color to remedy. If bad fitness, grinding repeatedly. If the bad quality of tio2 as Flatness, it will immediately cause the filter at a slower pace, and blockage of the jet hole, broken wires, hair silk, bad appearances of the fibers and so on. Liangjiang brand- titanium dixoide fiber grade, fine particles, almost no coarse particle, narrow particle size distribution and uniform, good dispersibility, and less impurity content, When using, not wear pipe, nozzle and wire cutting knife;Chemical stability, heat resistance, good resistance to light easy dispersion in bulk, fiber, and scattered and good stability, small filter resistance;After the extinction , not affects the strength of the fiber and spinning processing, once the sample passes the test, we can ensure the quality stability. 1. When refractive index of pigments and the refractive index of binder the same, shows transparent; When refractive index of pigments is greater than the refractive index of blinder, it is opaque, the larger difference, the stronger opacity.Tio2, high opacity, One of the most basic characteristics of good white pigments. Opacity is caused by refractive index difference between pigments and the surrounding mediums. 2. Liangjiang brand-Titanium dioxide fiber grade , the request for particle size and distribution. ※ Due to the visible light wavelength of 400-700 nm, the titanium dioxide particle size should select the range from 0.15 um to 0.35 um, so the chemical fiber extinction effect is best. ※ When the particle size is too big (more than 0.5 um), it will reduce the performance of titanium dioxide on the short wave scattering, which have effects in fiber. ※ If big particle size at the same time, it can make the filtering performance poor, easy to block spinneret, which affects harmfully on the spining. ※ Does (such as less than 0.1 um) when particle size is too small, the diffraction of light, the light will be through from around the particles, not reflection, will become transparent crystal particles, titanium dioxide extinction ability can be lost. ※ Does often requires more than 90% of the titanium pigment particle size should be less than 1-2 um, the most important thing is try to contain no more than 5 um coarse particles. 3. 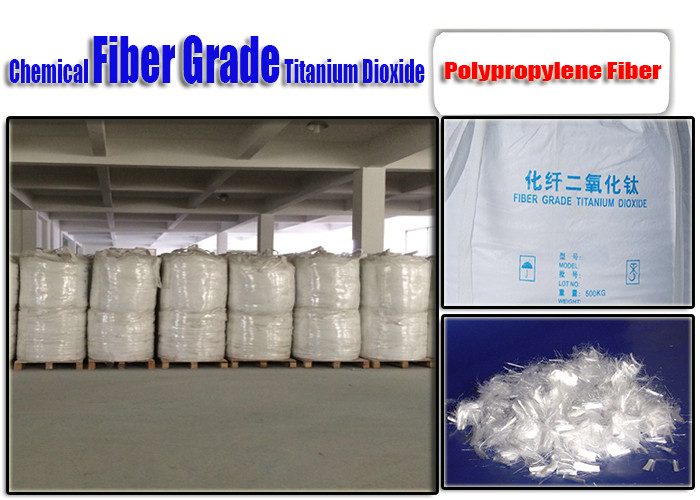 Liangjiang brand- Titanium dixoide fiber grade, the requirements for dispersion. Good dispersion in water, better dispersion in solution of ethylene glycol ,sodium thiocyanate solution and so on, not reacttion with these chemicals. 4. 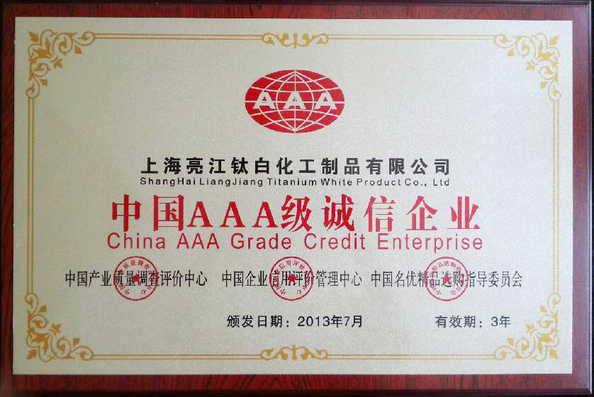 Liangjiang brand-Titanium dioxide fiber grade, the requirements for the purity. Good whiteness,low impurities,so that guarantee the better appearance, better dispersion. 5. Liangjiang brand-Titanium dioxide fiber grade, the requirements for chemical stability. Not reaction with the original fluid, When using, easily dispersed, deflocculat, no jam and abrasive wear pipeline, jet holes and wire cutting knife.After the extinction , not affect the strength of the fiber and spinning processing. Applications: primarily used as matting agent in chinlon chemical fiber (Nylon 6 and Nylon 66) manufacturing . Applications: primarily used as matting agent in urethane elastic fiber manufacturing.